Transfer News – 12th July, 2015: Manchester United closing Morgan Schneiderlin deal, Newcastle United seal Georginio Wijnaldum deal, Manchester City in talks with Liverpool for Sterling. Manchester United closing Morgan Schneiderlin deal, Newcastle United seal Georginio Wijnaldum deal, Manchester City in talks with Liverpool for Sterling and Arsenal keen on duo strikers and much more in today’s transfer news. Arsenal are preparing to sign Gonzalo Higuain from Napoli as chairman Aurelio de Laurentiis has revealed that he could sell his star striker this summer. Manchester United are set to agree a deal for Southampton midfielder Morgan Schneiderlin, as per the latest Metro reports. Georginio Wijnaldum has completed his move to Newcastle United, as per the official reports. 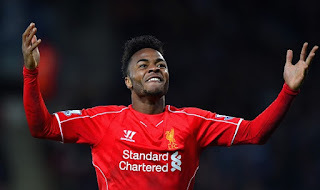 Manchester City have entered advanced talks with Liverpool over the possible summer move of youngster Raheem Sterling. The Englishman who was part of Thailand tour was dropped from the squad as the player is set to leave the club. Former Arsenal striker Robin van Persie is set to complete his move to Turkish side Fenerbahce as the reports revealed that the Dutchman is now in Turkey for the medical. The Dutchman is likely to be unveiled as a Fenerbahce player within the next two days.